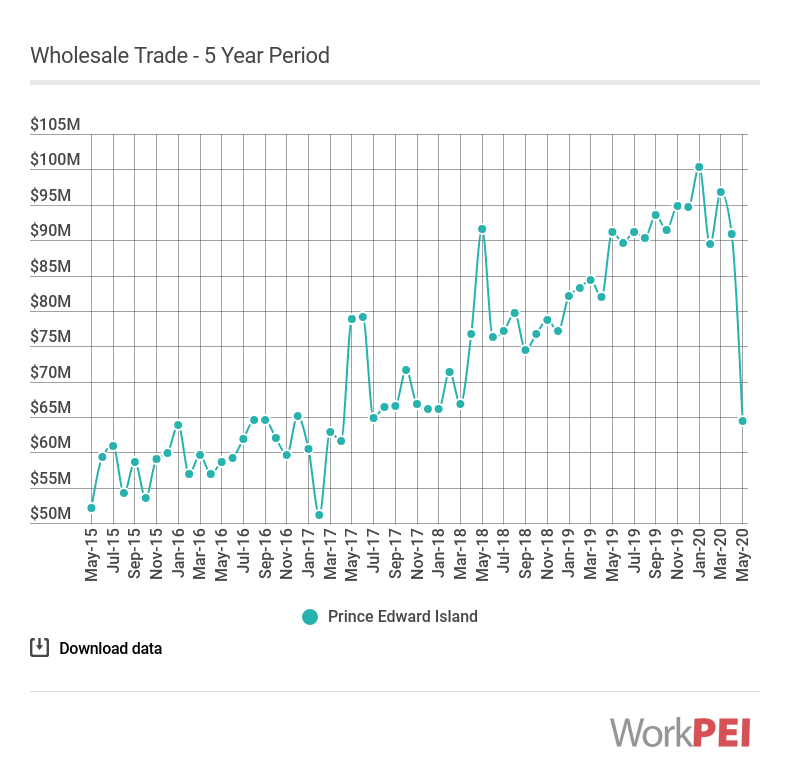 In January 2019, the value of Prince Edward Island wholesale sales increased by 13.5% from January 2018 to $79.7 million. 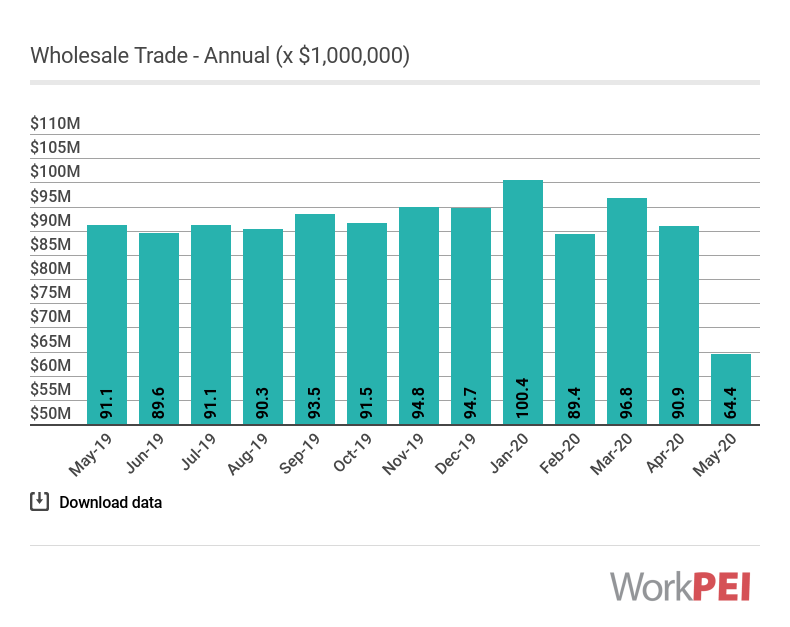 Nationally, wholesale trade increased 1.8% over the same time period. Adapted from Statistics Canada, Table 20-10-0074-01 (Wholesale Trade). This does not constitute an endorsement by Statistics Canada of this product. 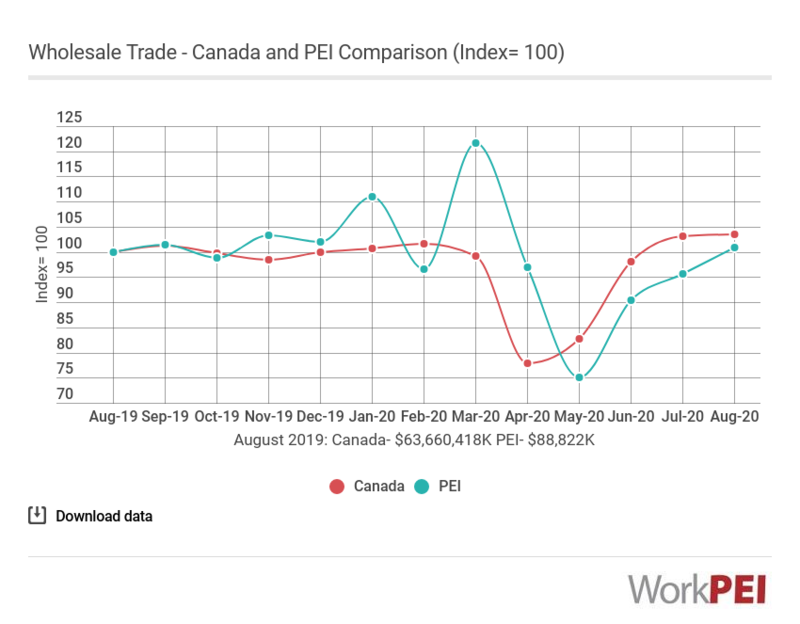 The value of sales for wholesale merchants in Canada and the provinces. For this indicator, seasonally adjusted estimates are shown.